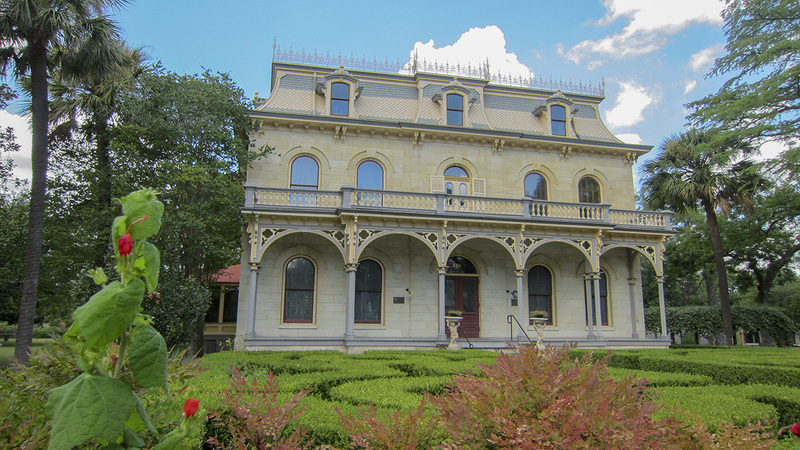 Located along the bank of the San Antonio River in the King William Historic District just south of downtown, this approximately 1.5-acre residential estate was completed in 1876 for Edward Steves, founder of Steves Lumber Company. 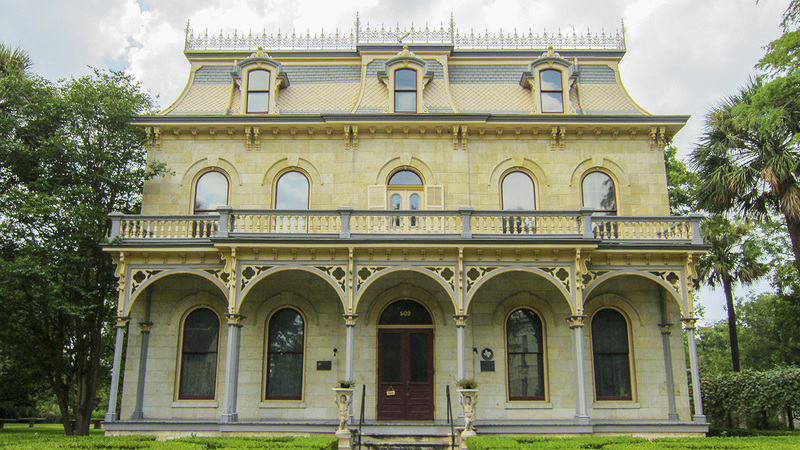 The three-story French Renaissance Revival-style mansion is thought to have been designed by architect Alfred Giles. 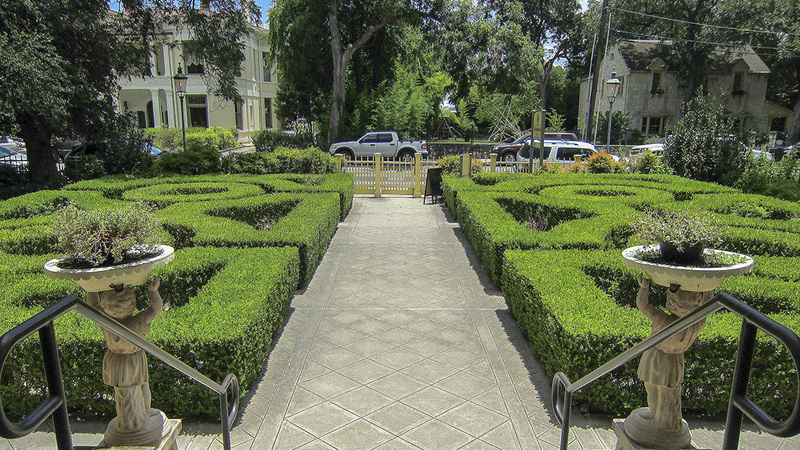 Formal boxwood parterres flank the tiled path that leads from King William Street to the estate’s front entrance. 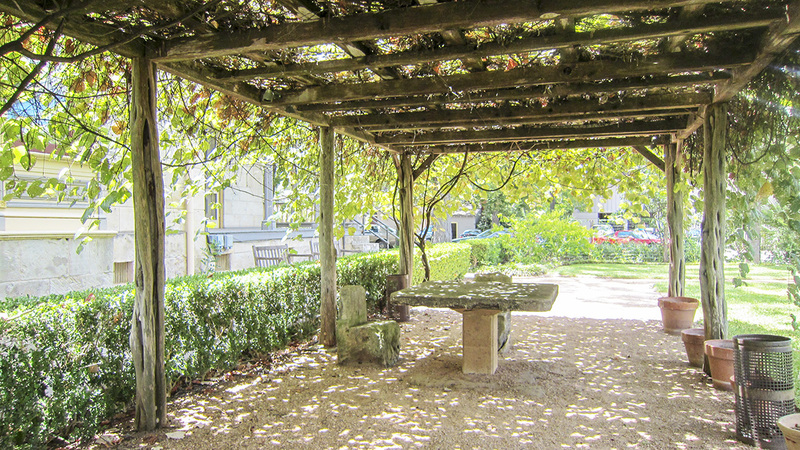 To the northeast of the mansion, the main lawn is inscribed with an oval, red-gravel pathway that encompasses a rectangular, vine-covered pergola and a circular cast-iron fountain acquired at the Philadelphia Centennial Exhibition in 1876. 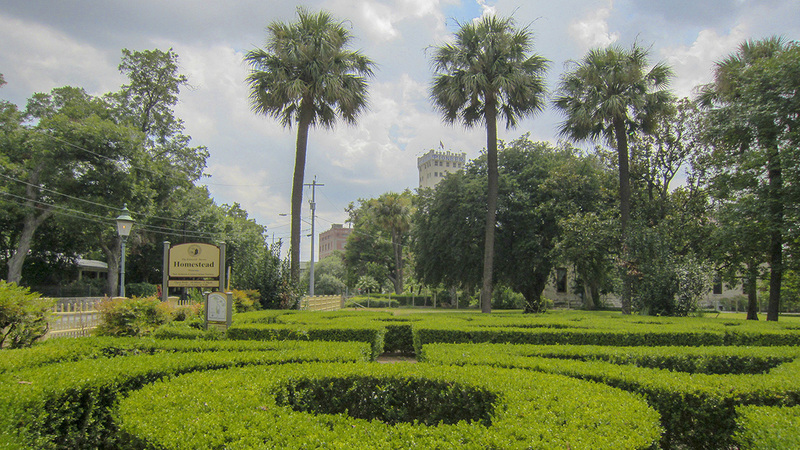 Mature palms and shade trees punctuate the manicured grass throughout the landscape, particularly within the large rectangular lawn to the southwest. 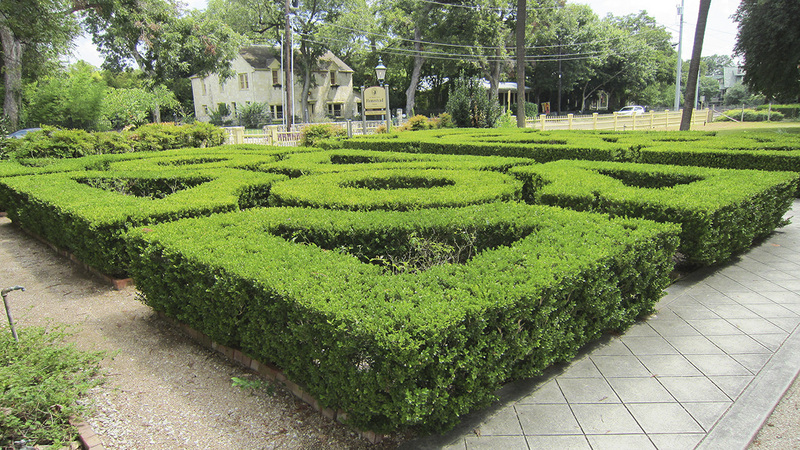 A yellow wrought-iron fence lines the front of the property along King William Street, and hedges form its border along East Johnson Street. 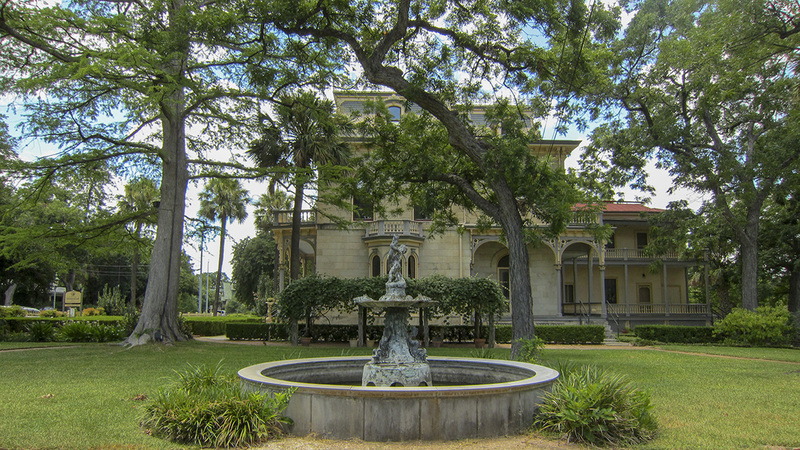 Edna Steves Vaughn, Steves’ granddaughter, donated the property to the San Antonio Conservation Society in 1952, which opened it as a museum two years later. The River House, constructed in 1913 towards the rear of the property, housed an indoor swimming pool (no longer extant), one of the first in the city. 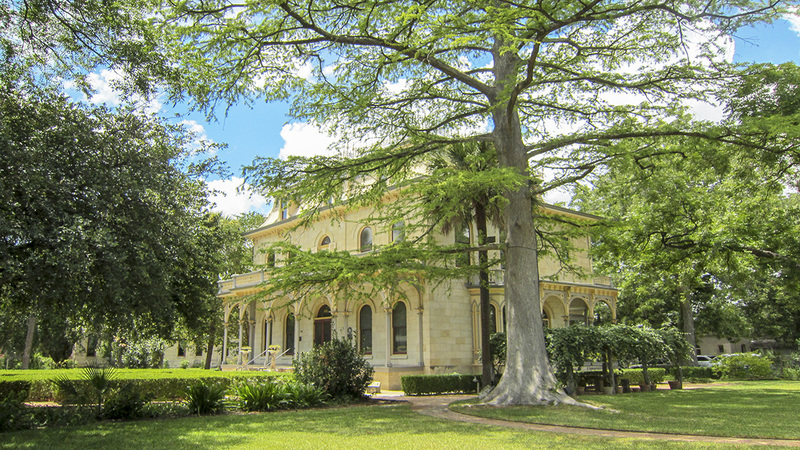 Other outbuildings include servants’ quarters (used today as the visitor center) and a carriage house, both constructed between 1875 and 1877. 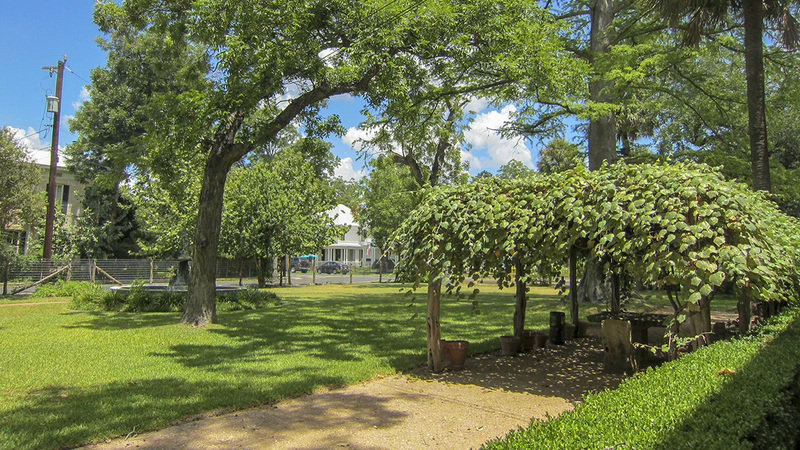 The Steves Homestead is a contributing feature of the King William Historic District, listed in the National Register of Historic Places in 1972.